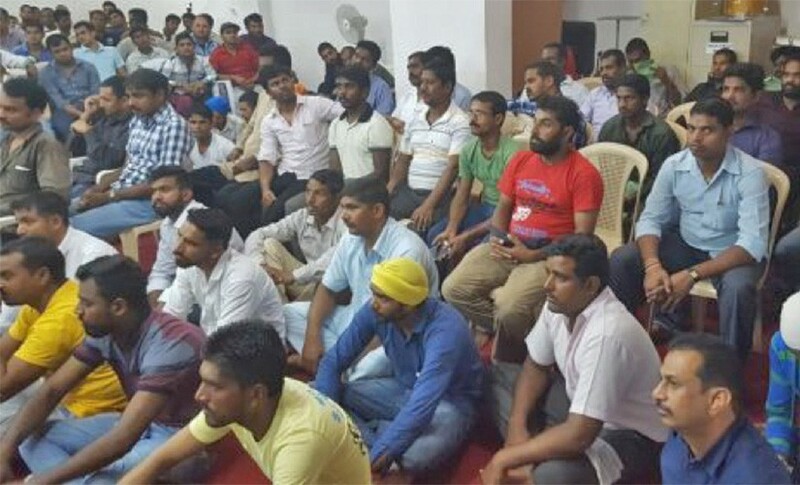 Migrant workers in Kuwait face very difficult conditions, and sharing God’s Word of comfort and guidance with the Christians among them is a key part of the ministry of the Bible Society in the Gulf (BSG). 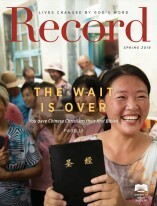 At a recent event, 60 migrant workers accepted Christ and 10 were baptized. The BSG reported that a “very great event” took place on the first day of the Ramadan Eid holiday in a basement in Mahboula. It was “a golden chance” to come together because it was a public holiday, and workers did not want to miss a gathering organized specially for them. More than 450 attended the worship service that was organized by the Tamil congregation of Christ Mission Fellowship (CMF) in coordination with the BSG. The group came together from different places and different backgrounds for one reason: to worship the Lord. The celebratory meeting was a great opportunity for worship, praise, and fellowship, away from the burdens of hard work and duties. Of course, the BSG was there to support, encourage, and share the Word of God. “Akin to a miracle,” 60 migrants accepted Jesus Christ as Lord and Savior and 10 were baptized that day. Yousef Sabri, the representative of the BSG in Kuwait, shared with the audience a message based on three figures from the Bible: Joshua who crossed the Jordan and defeated the enemy, Jesus who defeated Satan, and Peter who won many souls for the Lord by the power of the Word of God. The audience was highly engaged in the message, and an animated Q&A session followed the presentation. At the end of the event, 325 New Testaments and Bibles in Hindi, Punjabi, Malayalam, Tamil, and Telugu were distributed to the participants, including the newly baptized, in special envelopes. Their happiness and appreciation were so genuine and the BSG feels grateful for the success of this special gathering on a day when it was 52ºC (125ºF) outside. God is doing great things among those who need him. The BSG is faithful to the Great Commission and is adamant to use every opportunity to spread the good news of the gospel. Please pray for those whose lives were changed through the gathering that day so that they will remain steadfast in their new faith and lead others to Jesus Christ—the Way, the Truth, and the Life. An Oral Bible translation rooted in music and storytelling is bringing God’s Word to life for a nomadic people group in Namibia. God's Word is bringing healing to hurting families in Ecuador.